- The WWE developmental releases continue as the profiles of Chase Donovan and Nick Rogers have been removed from the official NXT Wrestling website. The word coming out of this week&apos;s TVs was that releases were expected as there was hesitation about making cuts during Linda McMahon&apos;s run for United States Senate. Branding her as a "proven jobs creator," WWE didn&apos;t want to announce any high profile cuts that could provide her opponent with ammunition. With the campaign over, it&apos;s believed cutbacks are inevitable. - The Miz was at Friday night&apos;s NBA game between the Dallas Mavericks and Indiana Pacers at the Bankers Life Fieldhouse. Miz spent the day doing promotional work for Survivor Series in the Indianapolis area. - Speaking of Miz, he along with AJ Lee and Alicia Fox visited Riley Hospital for Children in Indianapolis on Friday. They brought gifts and visited with children. - Cody Rhodes says an MRI conducted on Thursday revealed a torn trapezius, torn deltoid and separated shoulder. He won&apos;t need surgery and says it won&apos;t "stop us." Based on his Tweets, it appears he isn&apos;t ruling himself out for Survivor Series on Sunday. - David Otunga along with AJ Lee and Alicia Fox volunteered this weekend at Gleanor&apos;s Food Bank in Indiana. - John Cena announced on Twitter he&apos;ll be debuting a new "uni" at Survivor Series. 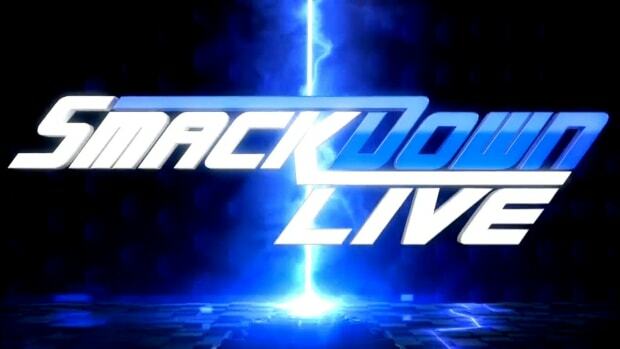 - WWE has announced a live event from the Citizens Business Bank Arena in Ontario, California on January 19, 2013 at 7 PM. - Word is beginning to get around that workers for the Linda McMahon for Senate campaign didn&apos;t get paid for their work. Once paid, the checks bounced. Campaign spokesperson Kate Duffy told WTNH News 8 in Connecticut the mixup came when replacement checks were issued for those that did not want to wait for the mail. This voided the original checks. This is a claim campaign workers have disputed, saying they were only sent one check and it was bad. Click here for coverage on WTNH.com. - Mark Henry was spotted at Best Buy in Austin, Texas on Friday. We heard from Wrestling News World reader Ranfery that took a picture with him. - AJ Lee talked video games with Forbes to promote WWE &apos;13. Click here to read the article in its entirety. - Brooks Oglesby solved the Rosa Mendes/Brad Maddox controversy as the video was made by a scam artist. Rosa didn&apos;t realize it and went after Maddox but the video was well done. We pulled the video on Wednesday when we discovered it was fake so if you&apos;re wondering why, catchup at this link. - Vince McMahon along with The Miz, R-Truth, Eve Torres and Layla are headed overseas on Friday to visit with the troops. This is being done in preparation for the WWE&apos;s annual Tribute to the Troops show. - Cody Rhodes wrote on Twitter on Thursday he&apos;s a quick healer and will be back before "most of the big talkers" on the list. Whatever that means. - Bret Hart has a new interview online to promote WWE &apos;13 at this link. TNA Final Resolution 2012 will take place Sunday, December 9, 2012 from Universal Studios in Orlando, Florida. We&apos;ll have exclusive live play-by-play coverage here at WrestlingNewsWorld.com. What&apos;s the latest on Matt Hardy? Matt Hardy put the word out on Sunday that he was going to be fine. He was significantly injured at the Extreme Rising show on Saturday in Pennsylvania. Hardy was seen throwing up at ringside and initially showed no sign of movement. He was able to get up and is believed to have suffered a concussion. Was Brock Lesnar really hated when he was a top guy in WWE back in the early 2000s? Brock Lesnar hated the WWE way of life, didn&apos;t like being on the road all the time and was known for being a prima donna backstage. This business isn&apos;t for everyone and Lesnar didn&apos;t care how much money he was making, he didn&apos;t have the passion that is required to work as a pro wrestler. As with anyone, some liked him and others didn&apos;t but the bottom-line is he didn&apos;t like always being on the road. Things are much different with Brock in WWE today as he is very disconnected to the business as he does what he is told and collects his paycheck. Given all the Divas that have left WWE over the past few months, what&apos;s the latest on the division? Eve Torres is the new face of the WWE Divas division with Kaitlyn and Aksana also having significant roles. AJ Lee is basically where Eve was several months ago when she was the "executive assistant" of John Laurinaitis, as she is in a prominent role but not currently a viable challenger for the Divas Championship. There are clearly big plans to push Tamina Snuka as a heel in a role where she is friendly with Vickie Guerrero. While WWE could give programs for the Divas Championship more build, I don&apos;t completely agree with Edge that there are no opportunities. AJ Lee has a huge opportunity right now in a very prominent angle on Raw with Vickie and John Cena. With Ryback basically losing again where does WWE go from here? WWE is in a world of trouble with Ryback following what was essentially a loss at Survivor Series. Let me be clear. I&apos;m excited to see Dean Ambrose and Seth Rollins get called up to the main WWE roster but I hate how Ryback was booked at both Hell in a Cell and Survivor Series. The premise for Ryback&apos;s character is that he is the "unstoppable monster" that needs to be "fed more." As soon as he&apos;s "fed," he can&apos;t handle it. Some people are taking this as me being high up on Ryback over the IWC darlings, which is unfounded. I&apos;d be fine with guys like Punk, Daniel Bryan, Cesaro, etc. running the company without guys like Ryback being in the main event picture. However, now that Ryback has been chosen for a push they have to push him. The blatant lack of confidence in putting him over compounded with the holding pattern they are in with Punk for Royal Rumble is making for intolerable booking. Either push him or don&apos;t book him in the main event. At this point Ryback means nothing more than a mid-card talent and he&apos;s lost a significant amount of steam. What is the backstage opinion of Seth Rollins, Roman Reigns and Dean Ambrose? It&apos;s a little early to gauge the internal reaction to the developmental studs, however, almost everyone is aware of Rollins and Ambrose and what they are capable of. Both have been on the road with the main roster at different points throughout the past year and given the fact they&apos;ve already had success out of WWE , they aren&apos;t seen as green rookies. Roman Reigns hasn&apos;t had the same success and is by far the greenest. Why were several WWE wrestlers suspended through the Wellness program for smoking Spice (a synthetic form of marijuana), when a positive test for real marijuana is just a fine, not a violation? The medical personnel that oversee the WWE Wellness policy determined that synthetic forms of marijuana were much more dangerous than the real thing. This is why WWE took a strong stance against workers smoking it to end its use. We saw this one coming as we were aware of several cases of WWE workers smoking synthetic pot to get around Wellness fines but didn&apos;t expect it to last long. It didn&apos;t as WWE was quick to react by adding synthetic forms of marijuana to their banned substances list. If John Cena was injured why did WWE have him do the locker room brawl with Dolph Ziggler? The John Cena "injury" angle was scripted into this week&apos;s Raw, the sticking point was the spill to the outside. It clearly looked like Cena turned his ankle but everything done after that was all part of the show. We&apos;ll find out soon enough how badly he was really hurt but I can confirm the "injury" angle was scripted into the final write of the show. A lot of reports these days are saying that show&apos;s and even pay-per-view&apos;s are being changed or completely written just hours before the show starts. 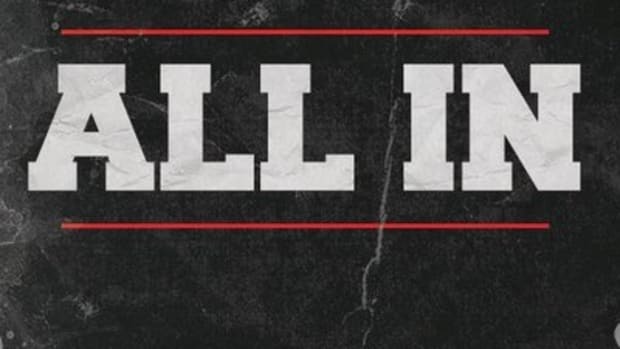 Was it ever like this back in Attitude Era days of, in my opinion, the best programming wrestling has seen? If it wasn&apos;t, why is it the case now where it is clearly producing rushed storylines and shoddy shows on numerous occasions? It&apos;s always been chaotic backstage at live television tapings and pay-per-views. The process is complex and given the fact Vince McMahon likes to change his mind and leave people in the dark, things have always been complicated. With that being said, it hasn&apos;t always been as bad as it is currently as many of the writers and producers are burned out due to the increased workload. Further, Vince has been under increased pressure (with injuries, declining ratings and burning $100 million) that has caused him to change his mind more often than usual. Things usually get worse before they get better but right now they&apos;re expecting too much out of their writers. The last we heard (and reported on WNW Premium) there was a very real possibly of The Undertaker missing Wrestlemania for the first time since 2000. He only has a couple matches left in him and he wants to make them count. We were told Undertaker is upset and feels neglected with next year&apos;s show focusing on The Rock, John Cena and Brock Lesnar.